This antique painting is simply breathtaking. I have had it as part of my personal collection for many years. 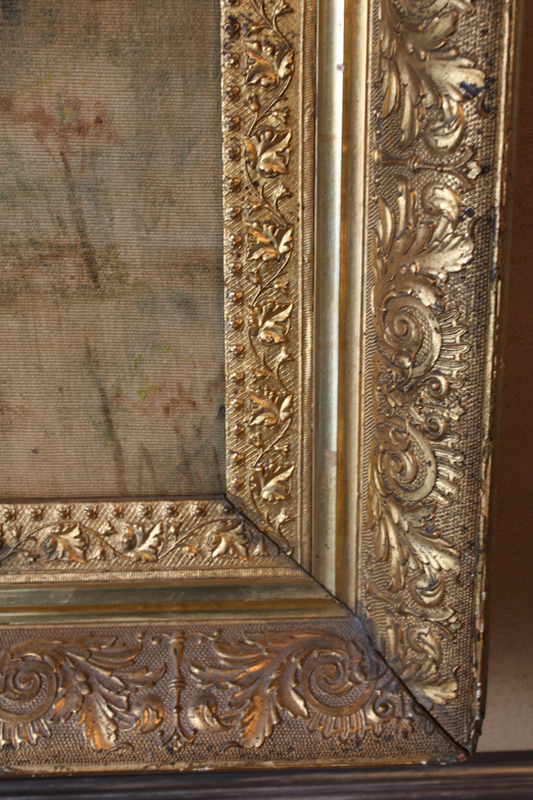 Painted on linen and framed in the original water gilt gold thick frame. 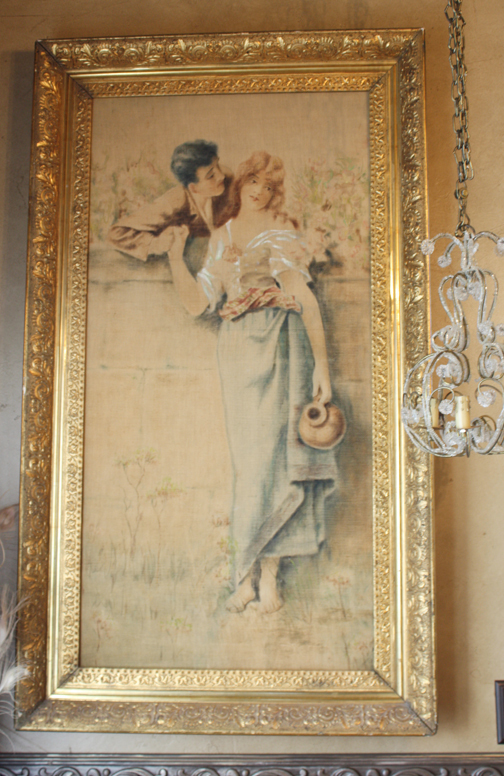 This painting was once own by the estate of Melanie Griffith and Antonio Banderas. It is in excellent condition with no repairs or damage to report. 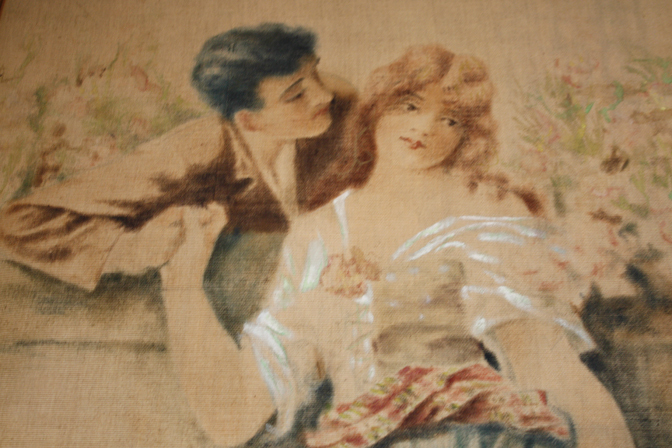 A stunning piece of period art work. Measurements are 55 inches tall by 32 inches wide.